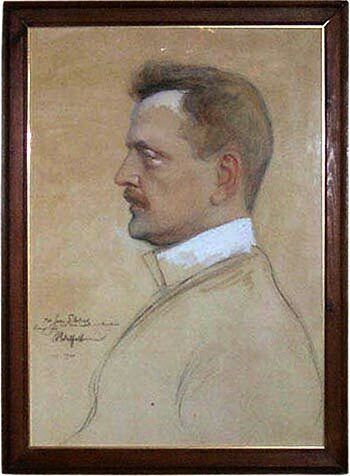 Albert Edelfelt painted a portrait of Sibelius after the completion of Ainola in the autumn of 1904. The work is still in Ainola. In the autumn of 1904 the majority of Sibelius's most important orchestral works had been printed, and conductors around the world were trying them out successfully in their repertoires. At the beginning of the year, the second symphony had been a tremendous success in Hamburg, Chicago and Moscow but had met with a setback in St Petersburg. In March 1904, the young Arturo Toscanini had conducted En Saga and The Swan of Tuonela in Italy, with Finlandia following slightly later. However, the copyright system was undeveloped, and Finland, as an autonomous part of Russia, had not signed the Berne convention which controlled copyrights. Not all the performances brought Sibelius any income. Things did not seem to become much easier, although at Ainola the composer was removed from the temptations of Helsinki. At the end of the year he gave concerts in Pori and Oulu, but made the mistake of calling home drunk during his journey. This started an almost desperate correspondence between the spouses. On 4th December 1904 Aino wrote that she was afraid that something was "about to break". "Wake up Janne, wake up and see what you are!" she demanded. Sibelius wrote back, "I will change. I really mean it," signing the letter as "Your own sad darling". Things calmed down over Christmas. In January 1905, when the composer travelled to Berlin, the letters of the spouses are full of love and trust. In Berlin, Sibelius spent time with Paul, Busoni, Sinding and the violinist Willy Burmester. He became acquainted with several important works, such as Mahler's fifth symphony, Debussy's Nocturnes and Strauss's Heldenleben. He himself wrote the incidental music for Pelléas and Mélisande. Busoni had invited him to conduct his second symphony, and the concert on 12th January 1905 was a great success. National-Zeitung wrote that the second symphony was marvellous, and Die Musik called Sibelius one of the great creative spirits of the era. On the other hand, Allgemeine Zeitung took the view that Sibelius had come to a dead end, and Berliner Tageblatt's Leopold Schmidt found fault with the work, stating that the composer had difficulty with large-scale forms. Nevertheless, Schmidt conceded that Sibelius was a powerful talent and a master of orchestral composition. In Berlin, Sibelius signed a publishing contract with Robert Lienau. The composer was tired of doing business with Breitkopf & Härtel, with whom contacts had mainly been via Finnish publishers. According to the publishing contract with Lienau, Sibelius was to write as many as four major works a year. A considerable amount of money was promised (34,000 euros a year in today’s money). Taking into account Sibelius's pension and the fees for concerts, his annual income would be equivalent to 50,000 euros over the following years. See Sibelius's assets and debts. In a letter Sibelius wrote that his life was now on safe ground. He built a sauna at Ainola and reduced his bills. But because of his lifestyle his financial problems still continued. On returning to Finland Sibelius conducted the incidental music to Pelléas and Mélisande (March 1905). This highly-acclaimed theatrical event brought the composer further recognition, and he also rewrote the successful work as an orchestral suite. During the spring, Sibelius conducted in Vyborg and elsewhere. Then he started to consider what he could do with the sketches he had collected earlier. He tried out his themes in an oratorio to be called Marjatta, which he was developing from an idea given to him by Jalmari Finne. Sibelius kept planning the oratorio till the end of the year but finally gave up the project. 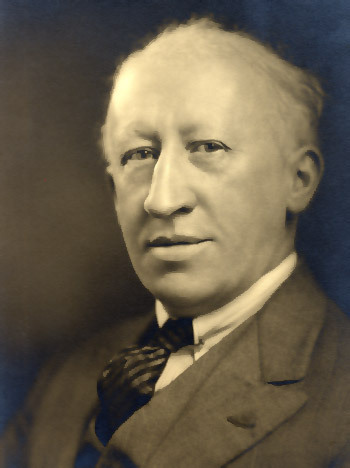 Nevertheless, material from the proposed oratorio ended up in Pohjola's Daughter and probably in the third symphony; also in In Memoriam, which he planned as a work in memory of Eugen Schauman. The previous year, Schauman had assassinated the governor-general Nicholas Bobrikov, who was regarded as an oppressor of Finland. The new governor-general was more moderate. In November 1905 the Tsar issued a manifesto in which many of the oppressive measures of Bobrikov and the Russian administration were abolished. In November 1905, Sibelius had been invited to conduct his works both in Heidelberg and in Liverpool. He decided to visit Britain for the first time. Sibelius made important new acquaintances, such as the conductor-composer Granville Bantock, who had invited him to Britain, the friendly and influential Rosa Newmarch, the critic Ernest Newman and the conductor Henry Wood. In Liverpool, on 2nd December 1905, Sibelius successfully conducted the first symphony and Finlandia. In a letter to Aino, Sibelius commented on the concert: "A great success. The praise was truly unstinting." Sibelius continued to Paris, but the dignitaries of French musical life were not interested in him. Sibelius concentrated on his work and, at the turn of the year, on celebrating with his artistic friends. The artist Oscar Parviainen found Sibelius, who had been celebrating for several days without a break, in a shabby tailcoat in the Café de la Regence. This was four days after the festivities held on the 5th February to celebrate the poet Runeberg. Sibelius played some "free fantasies" to Parviainen, one of which he called A Prayer to God. The theme later ended up in the finale of the third symphony, and it inspired Parviainen to paint a work which even today hangs in the drawing-room of Ainola, behind the grand piano. See art in the drawing room at Ainola. After returning home Sibelius started a characteristic period of intense work lasting several months, during which he left his desk mainly for meals and daily walks. "The children sensed instinctively how they should behave, out of respect for their father's work. And quite as instinctively they all felt a kind of relief at the moment their father started to write," Aino Sibelius recollected later. "It meant that the work had matured into its final form, its moment of birth was at hand. On such days my husband could sit for forty-eight hours without leaving his desk." By dint of hard work, Sibelius completed a miniature work, Pan and Echo, and also a cantata called The Liberated Queen, for the centenary of J. V. Snellman on the 12th May. However, the main work to emerge was a new symphonic poem which he had called Luonnotar ("Daughter of Nature") in his letters. At the final stage of composing, Sibelius made changes and adapted the programme of the work to suit another story in Kalevala. Väinämöinen and the daughter of Pohjola now had the leading roles. After much deliberation, the work was called Pohjola's Daughter. The summer of 1906 was a time of contrasts. The family was enjoying warm days at Virolahti, fishing and rowing, but Sibelius also had to visit his sister Linda in hospital; Linda's delicate mental state had become mental illness. Linda spent the rest of her life in institutional care, but she was sometimes able to visit Ainola, and she could carry on a correspondence. The summer brought forth six songs, opus 50. In October Sibelius also completed the music for the premiere of Belshazzar's Feast. Svenska teatern (the Swedish-language theatre) was sold out. Sibelius also adapted the incidental music as an orchestral suite. Towards the end of 1906, Sibelius conducted his works in Oulu, Vyborg, Vaasa and St Petersburg, where the first public performance of Pohjola's Daughter had a very good reception at a concert given by the orchestra of the Marinsky Theatre. "An extremely talented and imaginative composer," wrote the magazine Rusj. However, the year 1907 brought setbacks. Once again Sibelius was spending time and money in the restaurants of Helsinki. On the 27th January he spent the equivalent of 500 euros on champagne, brandy and lobsters in a single night. Aino Sibelius had to go to a sanatorium because of exhaustion. In the spring of 1907 Sibelius was remorseful. "This drinking – in itself such a joyful pursuit – has really gone too far," he wrote. While Aino was convalescing, Sibelius worked on his third symphony and read reviews of his work that arrived from all over the world. In February 1907 Armas Järnefelt had conducted Pohjola's Daughter in Stockholm with great success. Maud Powell had played the violin concerto at the turn of the year in New York and Chicago, and at the beginning of the year, audiences in Berlin had the opportunity to hear Pelléas and Mélisande, the violin concerto and songs performed by Ida Ekman. Most of the reviews were excellent: Sibelius had become an internationally recognised composer. The summer was taken up with work and a trip to Berlin. The third symphony was finally completed in time for a concert on the 25th September. Its more classical approach perplexed the audience. Among the critics, Flodin was delighted, writing that the symphony met "all the requirements for a symphonic work of art in the modern sense". He continued: "At the same time it is internally new and revolutionary – thoroughly Sibelian." According to Helsingin Sanomat, the symphony did not make as direct an impact as the first and the second symphony. One month later Sibelius met the composer Gustav Mahler, who was visiting Helsinki. The two colleagues noticed that they had experienced the same phenomenon: with each new symphony both of them always lost listeners who had been captivated by the previous symphony. The third symphony had a cool reception in St Petersburg, where it was performed in November 1907. "Apparently he spends a lot of time in Berlin, London and Paris. There it is easy to be smitten by the decadence of Debussy, Strauss and Elgar. We must say goodbye to the earlier Sibelius, the fascinating interpreter of the sagas of his homeland," wrote the magazine Birzhevyya Vyedomost. "The most important thing about his symphony is – its brevity," the magazine Rusj sneered. Even the composers were puzzled. Nicholas Rimsky-Korsakov shook his head and said to Sibelius: "Why don't you do it the customary way; you will see that the audience can neither follow nor understand this." The concerts in Moscow went better, and the critic of Russkiya Vyedomost actually praised the new work. At the beginning of the year 1908, Sibelius's lifestyle took its toll: he was taken into the Deaconess Hospital for a couple of weeks of treatment. Axel Carpelan believed that the composer would die soon if he did not stop "smoking and drinking hard liquor". Because of his illness Sibelius had to give up his planned journeys to Rome, Warsaw and Berlin. Nevertheless, he was able to set off on a journey to London that had been arranged for the end of February 1908. Rosa Newmarch was shocked at the composer's self-destructive lifestyle, and Sibelius was not able to convince the British critics of the merits of the third symphony when it was included in a concert. The incidental music to August Strindberg's Swanwhite was completed in April. The play was a success in Helsinki, and Sibelius once again made an orchestral suite out of the incidental music. In May 1908, Sibelius sought medical help for a sore throat that had been bothering him repeatedly. A tumour was found in his throat. The composer travelled with his wife to Berlin, and the tumour was removed in an operation. Now Sibelius decided to give up alcohol and smoking. The period of abstinence lasted almost seven years.